ICAST 2016 was a great place to catch up with old friends and show off some of the new products we’re most excited about. You already had the chance to see Robert Field’s thoughts regarding YakGear’s JuiceBox Lithium. 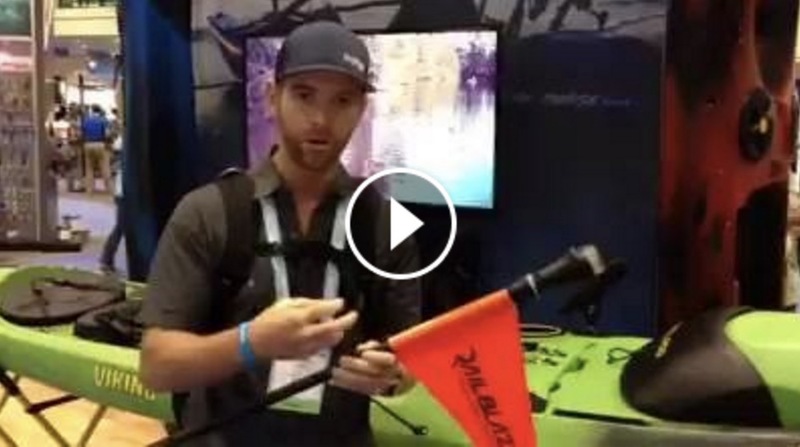 Now, see what he had to say about RAILBLAZA’S new Visibility Kit II, a great tool that goes far beyond the traditional kayak light. Robert highlighted a few key points about the kit, which is now available on our site. Did you know the Visibility Kit II is one of few such products to meet U.S. Coast Guard regulations? Or that the i360 light, mounted on top of a visible orange flag, lasts for 25 hours on its brightest setting, and 160 hours in work mode. Even better, it floats! Watch the full video to learn more about this awesome product, or check it out in our online shop. You won’t be disappointed.